I live in Denver now (and have since 1994. I know, as the guy behind AAH – which I am sort of uncomfortable with – this kind of makes me a philosophical problem) and so when I fly, I usually go through Denver International Airport – DIA. Well, they’ve got a pretty interesting (I guess…It’s made of plywood, anyway, I think, and grew up around a lot of plywood, so…) display on a wall leading into the East Terminal. It shows a couple-few unique things about each state in the Union. After all these years you’d think I might have checked it out by now, but no; too close to home and “regular”, I guess. I had never really looked at it until April. Well, I was a little disappointed in their choice for Indiana, frankly, to be honest with you. But then, as I thought about it over the next couple of weeks, I decided it was actually pretty good. I mean, out of all the stuff we talk about, we and everybody else get a little worn, always and without ceasing rehashing the Indy 500, Larry Bird, David Letterman, Johnny Hoosier Mellonhead, the Coke bottle, Limestone….. for Pete’s sake – come on. I’ve had it with our limestone. Enough already. Anybody else?! Even the other really sacred stuff like Lincoln’s teenager period in Spencer County. Ok, I know – they’re all sacred (I really believe that), but gee wiz, enough. I’m sure I have forgotten something really important, by the way. Is it the world’s largest duck farm? Or cantaloupes? Or Auburns and Cords and Deusenbergs? Or Paul Dresser and Theodore Dreiser or the Klan or THE true national intersection – the original crossroads of America, the meeting of the two original, national highways – US 40 and 41 – the exact spot my father and grandfather had their office for umpteen years, if you have to know; supposing you wanted to know, maybe, or some other great unique thing that happened only in Indiana- I don’t know. 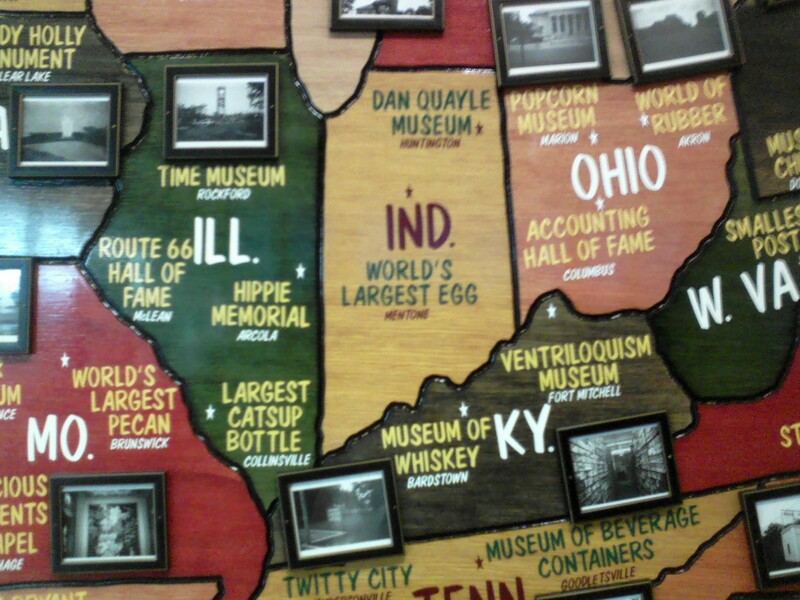 Well, so anyway, I think the particular thing they chose for Indiana was actually pretty good.